One of the many benefits of breast milk is that it can be extracted and stored in the freezer until the moment it needs to be used. Now, you may be wondering about the appropriate way to use it after storage. The first step is defrosting, a process that can be done in different ways. One is by moving the frozen breastmilk to the refrigerator to thaw overnight, and another is by placing it in a container with warm water. In addition to thawing, you can heat the milk to a warm temperature using one of the following methods. Place the container with milk inside another container filled with hot water for a few minutes. Place it under running hot water until the desired temperature is obtained. Place it in a baby bottle and use a bottle warmer. Whichever option you use, don’t forget to check the temperature of the milk before offering it to your baby by placing a few drops on the inside of your wrist. If it feels warm, you can give it to your baby; but if it is hot, let it cool down. Lastly, remember not to use the microwave. It doesn’t heat the milk evenly, so it can be overheated and harm your baby. There are cases where you do not have the opportunity to heat the milk to obtain a lukewarm temperature; for instance, when you are not at home. Don’t worry about it! There is no counter-indication that says that you should not give your baby mild-cold milk. However, many babies tend to reject it because they are not used to taking it at room temperature. 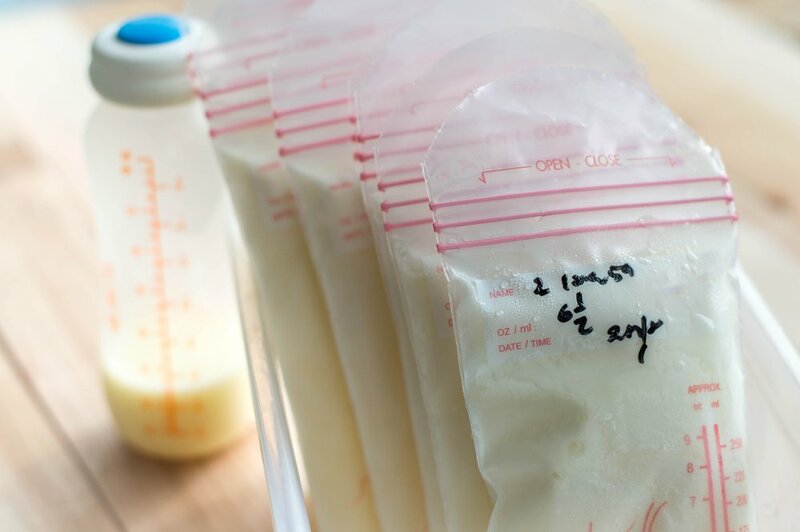 If your baby tolerates milk at room temperature or even slightly cooler, that’s fine. Just remember to use thawed milk within 24 hours. Also, if you have not used it, don’t store it again in the freezer or save leftovers for further consumption.